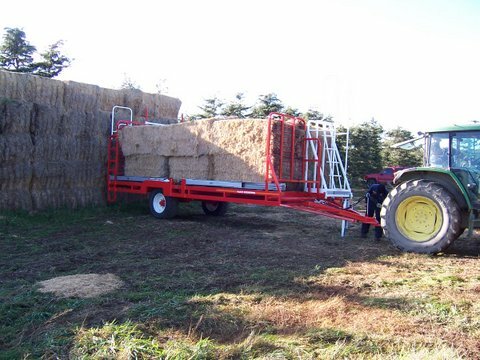 Our Double Layer, Double Row, Square bale feeder can carry and feed out 8 of Bailage bale’s (4 on each side of one layer) and 6 or more of Big square Straw bales (3 on each side of one llayer) up to 2.2 Meters long each, or any combination of both on either side and either layer that don’t exceed the working deck length of 7.1 Meters for each side. 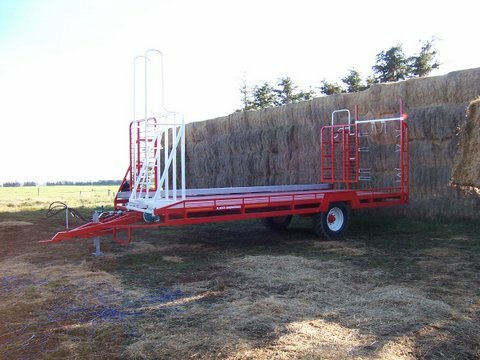 The Bale feeders can carry and feed out any type of Big or Medium square bale. 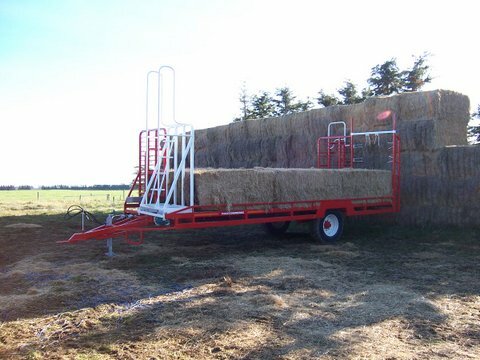 You simply load the deck to the first layer with your tractor or front end loader of some sort, then access the deck via the stairs and walkway to cut all the strings and leave them (the strings) in the yard so no risk of strings ending up in the paddock, then do that again once you have loaded the second layer. 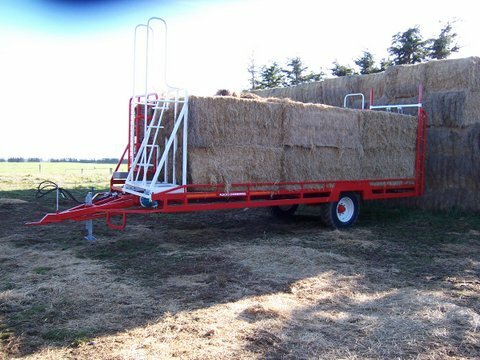 Then travel to your paddock and begin feeding out your bales by engaging the hydraulic the pusher frame at the front of the trailer, which travels very slowly along its tracks towards the back, And in doing so quietly pushes your bales off the rear edge one slab at a time as they break off from the bales they were part of.